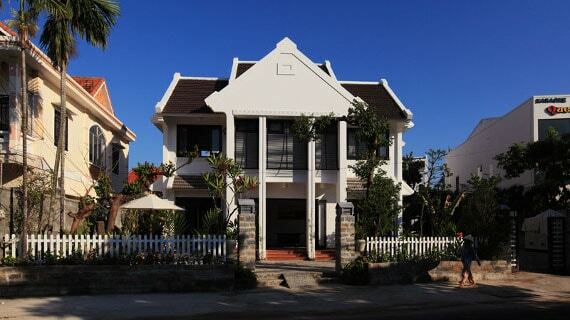 East West Villas Hoi An is located at a strategic position of Hoi An city. It provides the elegant and comfortable accommodation with free wifi access in public areas. This place has outdoor swimming pool, restaurant and lush garden. Furthermore, tourist can also rent bicycle for free there. The East West Villas Hoi An hotel is located in 1,8 km radius from Assembly Hall of Chaozhou Chinese Congregation to Assembly Hall of the Hainan Chinese Congregation. Hoi An Museum of History & Culture is distant this place about 1,9 km while Da Nang international airport is at 30 km driving. The air-conditioned rooms are equipped elegant furniture especially it also gets tiled floors, safety deposit box (in rooms), closet, flat-screen cable television and seating area. In addition, it comes with dinner table, mini bar and electric kettle. The private bathrooms are equipped bathtub, shower facility, towels and hair dryer. 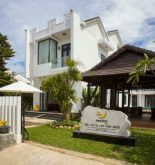 At East West Villas, besides friendly staff, it can support tourists laundry service or dry cleaning, airport shuttle, a shared lounge area, library and room games so that tourists feel as convenient as possible. The on site restaurant services full of delicious local dishes. Tourists can order a variety of drinks at bar or choose in-room dining service. Meals with special diets are able to also be serviced on request. Address: 294 Cua Dai Street, Hoi An, Quang Nam, Vietnam. 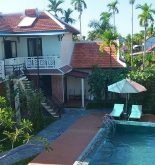 This information has been supplied by East West Villas Hoi An.